Michelle Yeoh plays a woman who does not approve of her son's choice for a wife in "Crazy Rich Asians." Jeff Yang is a journalist, media consultant and host of the podcast, “They Call us Bruce” — an unfiltered look into the goings-on of Asian America. Yang has already seen “Crazy Rich Asians” five times, deeming it a creative triumph. 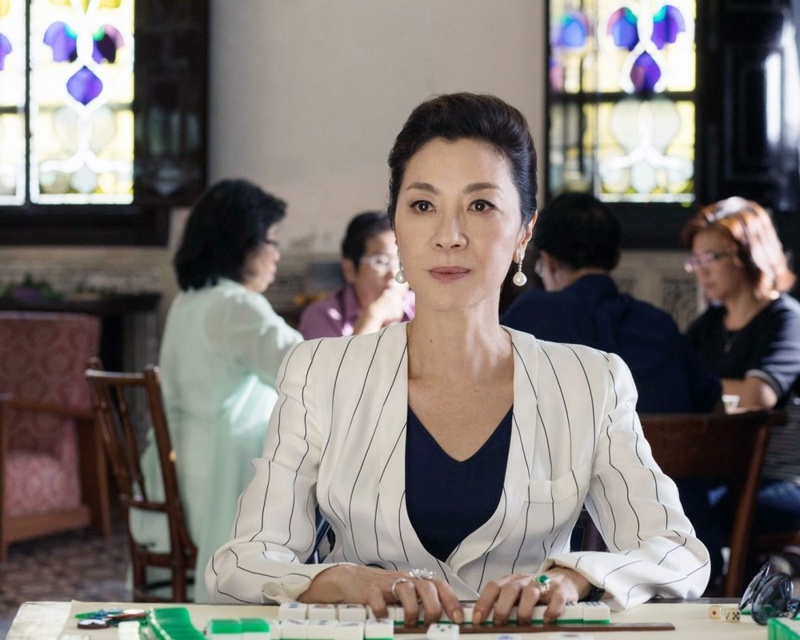 Yang stopped by The Frame to talk about the film’s success, and he breaks down its key moments — like the now famous mahjong scene between Michelle Yeoh and her would be daughter-in-law, Constance Wu. Not included in the book, the mahjong scene was a critical addition, serving as both a turning point for the movie and a cultural window into one of China’s most popular pastimes. Steve James is the documentary filmmaker who directed the acclaimed "Hoop Dreams." For his latest project, “America to Me,” he spent a year inside a Chicago high school trying to find out what works —and what doesn't — in public education. The prolific playwright and screenwriter has died at the age of 91. Michael Ritchie, artistic director of Center Theater Group, talks about Simon's last show at the Ahmanson Theatre, "The Sunshine Boys," in 2013.